Every Sunday (or every day, really) when the Gospel is proclaimed at Mass, there is a chance one may hear the words “a reading from the Gospel according to St. Matthew..”. But who was St. Matthew? 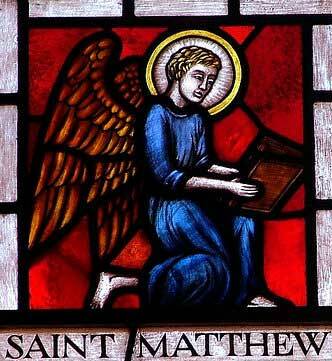 St. Matthew was one of the twelve apostles – the first to respond to the call to follow Jesus. He wrote the first Gospel, recording the life, death, and resurrection of Christ. 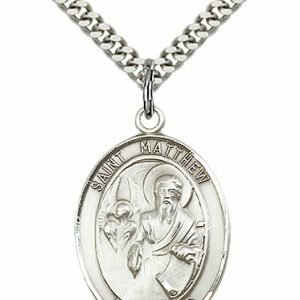 St. Matthew, before he was called by Jesus to become His apostle, was a Jewish tax collector. 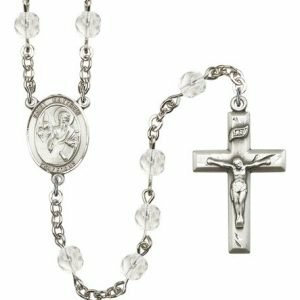 As such, he was considered to be among the “sinners” due to the unfair practices conducted by tax collectors under Roman rule. It came as a great surprise to many when Jesus called St. Matthew, since the tax collectors were hated by most Jews. After Jesus’ ascension to heaven, the apostles began their mission of going out to all the world to tell the Good News of Christ. 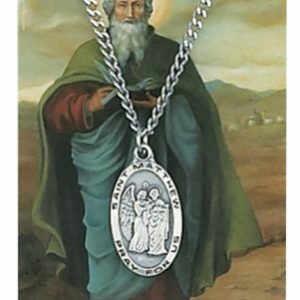 It is believed that St. Matthew stayed within the area of Palestine when he first began preaching. Historical record pertaining to his activity does not exist; however, there are traditions that have been passed down through the ages – some suggesting he traveled to Ethiopia to continue his mission, while others state he went to Parthia and Persia. Also unrecorded is his death, which means it is unknown if he died a natural death, or was martyred for his faith. St. Matthew wrote his Gospel while away from home preaching. He wrote his Gospel in Aramaic, which was the tongue of the Hebrew people at that time. He wanted to encourage his fellow believers in their newfound faith, as most of them had been Jewish prior to their conversion to Christianity. The Gospel, recording Jesus’ life, miracles, and ultimate act of sacrifice for mankind, was intended to help them to remain firm in their belief that Jesus was the Christ, the Son of God. He also wanted the Gospel to be shared with nonbelievers, hoping that they would come to know Jesus and be converted to Christianity as well. The Gospel of St. Matthew is the earliest-written of the four Gospels. Since he speaks of Jerusalem and the Temple in present tense, it is believed that the Temple had not been destroyed by the Romans at the time he was writing. The destruction of the Temple took place in 70 AD, which makes historians believe that St. Matthew wrote his Gospel between 42-50 AD, possibly later. 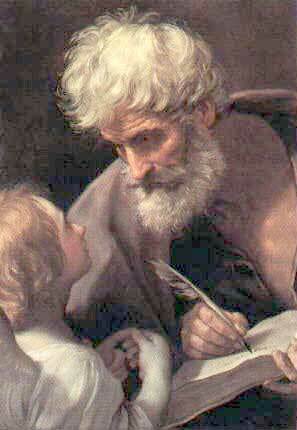 In the Gospels of Mark and Luke, St. Matthew is referred to as “Levi.” His feast day is celebrated on September 21. 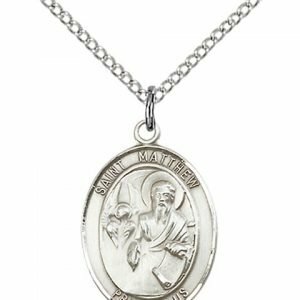 St. Matthew is the patron saint of accountants, bankers, bookkeepers, security guards, and stockbrokers. 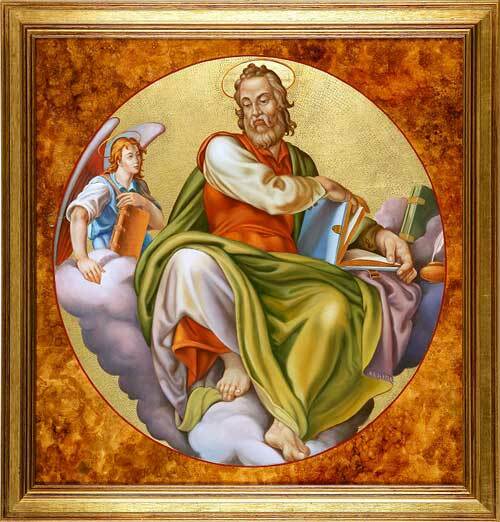 In art, St. Matthew is often depicted one of two ways: as a man, or as a winged man. When he is depicted as a man, he is usually either writing (his Gospel), or holding money, which signifies his occupation as a tax collector prior to becoming an apostle. He is most often accompanied by an angel standing next to him, instructing him of what to write of the life of Christ in his Gospel. When he is depicted as a winged man, he is also shown writing his Gospel. The symbolism of the winged man is that St. Matthew’s Gospel stresses Jesus’ human and divine nature. As a result, the image of the winged man (appearing similar to an angel) is used to combine both the natural and the supernatural. 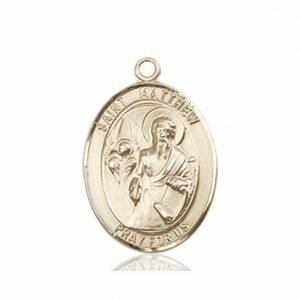 St. Matthew is generally portrayed in religious medals as writing, a reference to his role as a Gospel writer or holding money which refers to his role as a tax collector prior to the call of Jesus. Let Saint Matthew be your partner in prayer as you say one of the prayers below or as part of your rosary devotion. 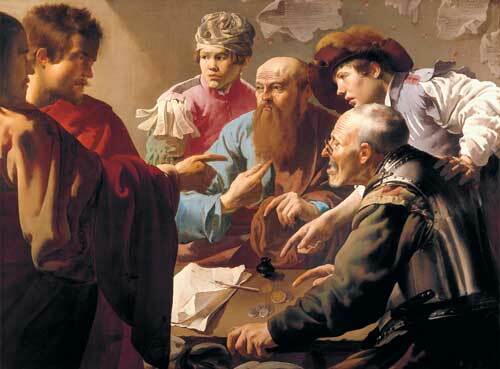 God of mercy, You chose a tax collector, St. Matthew, to share the dignity of the apostles. By his example and prayers, help us to follow Christ and remain faithful in Your service. We ask this through Our Lord Jesus Christ, Your Son, Who lives and reigns with You and the Holy Spirit, one God, forever and ever. Amen. Through the prayers of Saint Matthew, may the Lord Jesus Christ have mercy on us. Amen! Dear Levi, now known as Matthew, you were first a publican, a tax collector, and then a gatherer of souls for Christ after immediately following His call. Later you wrote wonderful accounts of your Jewish brethren of what Jesus, descendant of David, said and did as Teacher and Savior. Make all accountants imitate your example in giving careful and honest accounts. Amen. 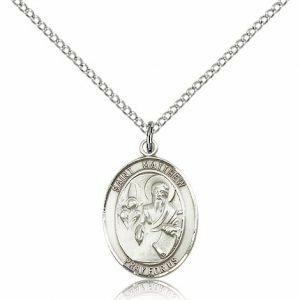 “About St. Matthew”. 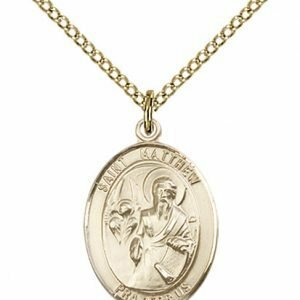 CatholicSaintMedals.com. EC Weickert, Inc, May 9, 2014. Web. Friday, September 21, 2018 .